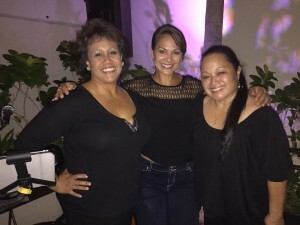 Hawai’i’s budding wahine trio, Ahumanu, releases their newest album, Kahi Aloha and music video premiere of single, “E Ho’ona’auao” on April 20, 2019. 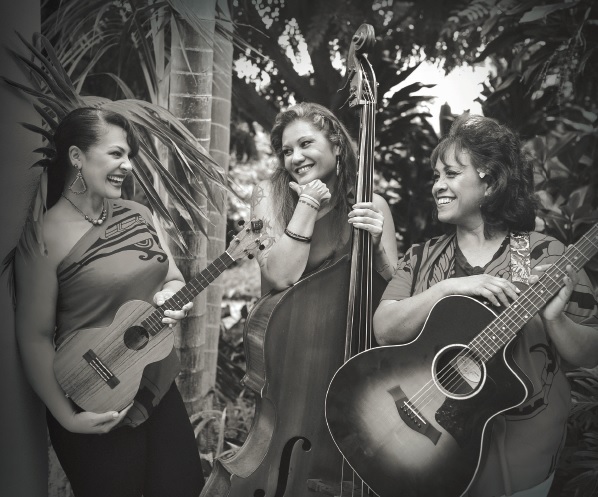 Founding member Liz Morales (guitar), along with Marja Lehua Apisaloma (‘ukulele) & Kekai Robinson (bass), have been serenading Hawai’i since 2016. Ahumanu originally formed in 2006, and has recently been restructured. Their 2017 album, “Songbird,” re-introduced the group with the newest version of its band members. All three take turns on lead vocals, but it is their three part harmony that defines their signature sound. 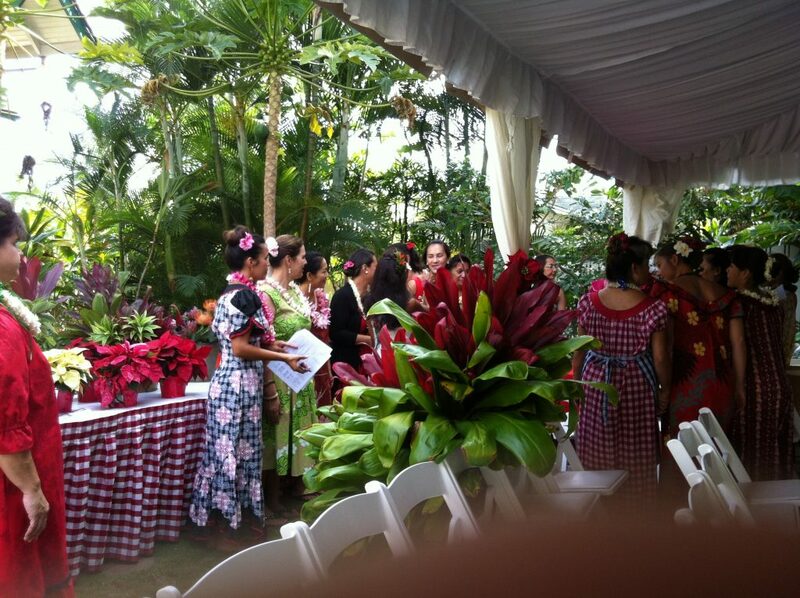 They have performed all over the world, including the South Pacific, US West Coast and across Hawaiʻi. Ahumanu is set to tour Tahiti and Japan later this year. Currently, they can be seen regularly at the Grand Wailea’s Sunday Brunch, at various community events and hula functions playing music for local hālau. “Ahumanu is also a complex composite of three lives. A collection of three experiences, an assemblage of remarkable talent, and a gathering together of musical passion. They are multifaceted yet combine into a sound that is only Ahumanu. Each facet brings together their love for a variety of music genre; R&B, rock & roll and a little bit of country. 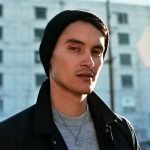 This offers a bold statement of who they are and what they do,” said distinguished Maui Kumu Hula and Hawaiian Cultural Practitioner, Dr. Hōkūlani Holt. Kahi Aloha, In This Place of Love, is the 4th album Ahumanu will debut. The primary musical genre on this album is Hawaiian; however, traditional Samoan melody, “Afai E Te Alofa,” honors the members’ Samoan heritage. 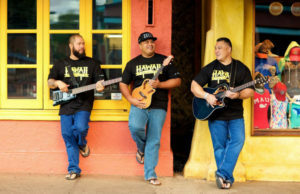 Of the twelve tracks, three are originals: “Kahi Aloha,” “E ‘Ano’ano Ē,” & “E Ho’ona’auao.” There is also a cover of Pat Benatar’s song, “We Belong,” which explains where the group is at the moment. 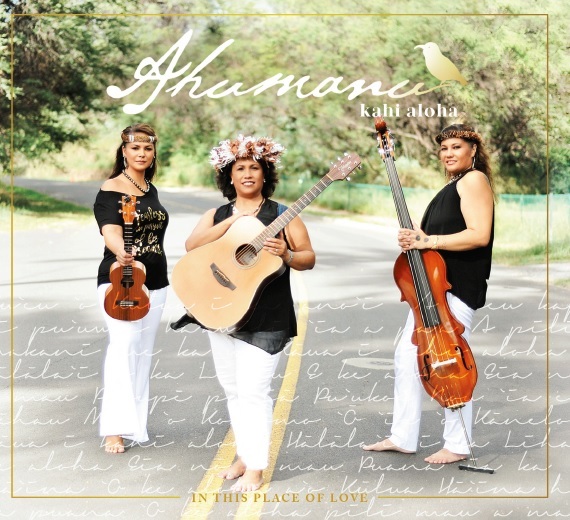 Kahi Aloha will be available, beginning April 20th , on iTunes & CD Baby, in coordination with their album release party at the Celebration of the Arts in the Ritz-Carlton ballroom from 8:30 to 10 p.m. The event is called “After Hours” and follows the Island Tastes dinner in the Aloha Pavillion. Tickets are on sale for Island Taste at various locations. Entry to the concert is free.